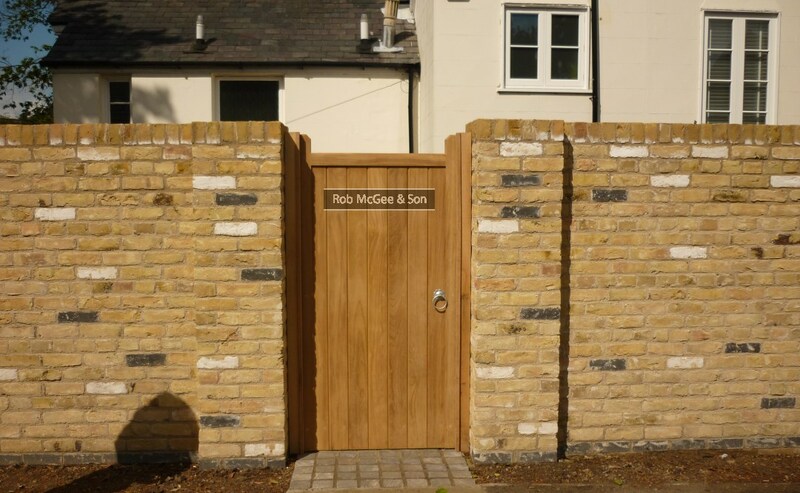 Brick wall built in Tunbridge Wells, Kent (Spring 2015) by Rob McGee & Son. 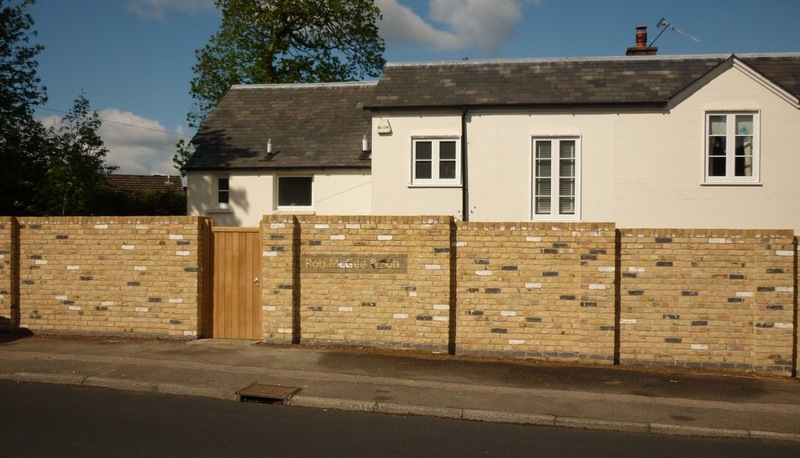 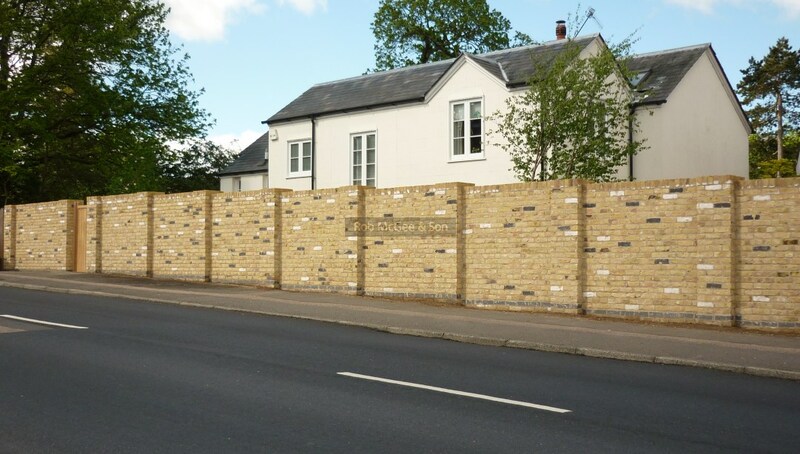 An English garden bond wall from new imperial sized bricks with traditional lime mortar. 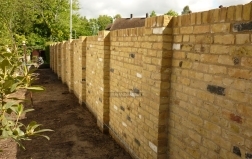 A yellow and multi coloured wall 9'' deep with 18'' piers. 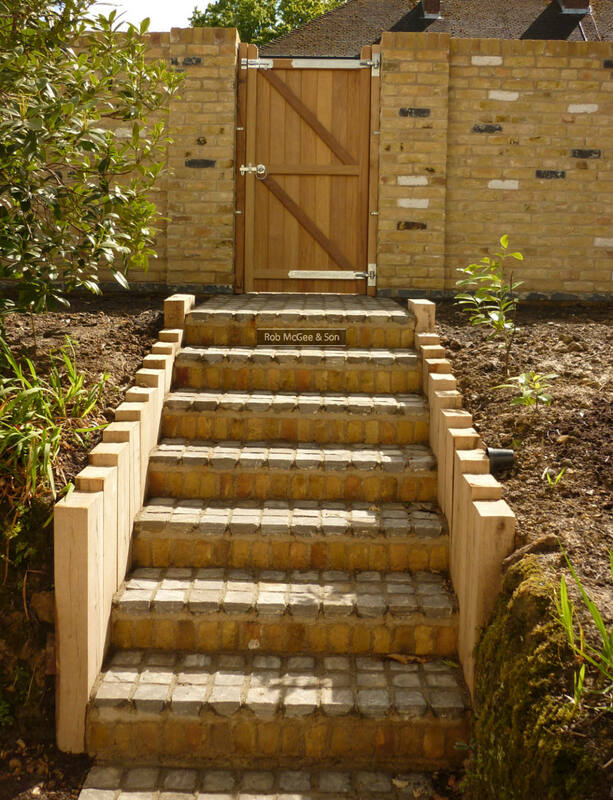 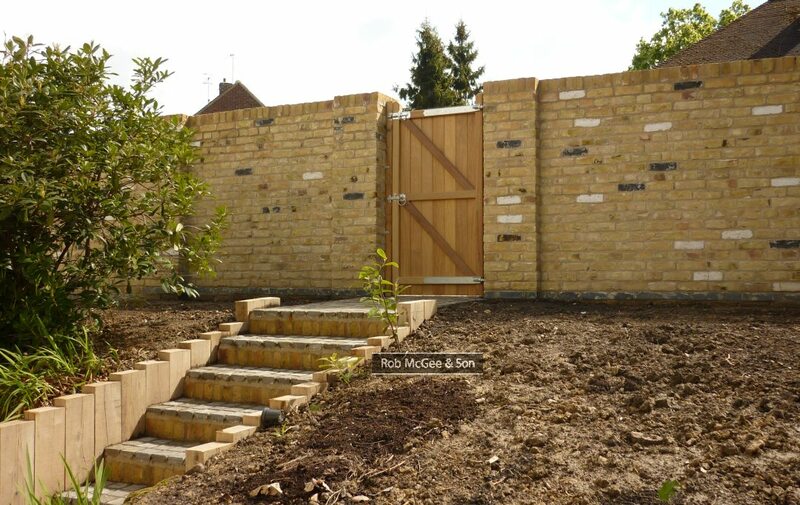 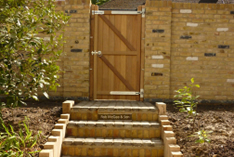 Other details include hardwood gate and sleepers, sandstone setts / cobble steps. 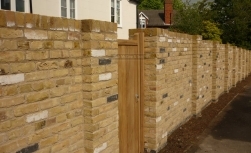 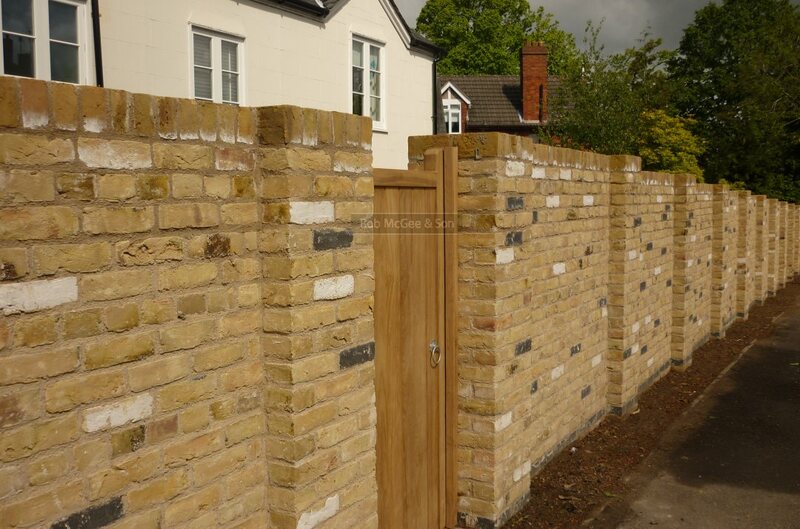 We build garden walls in Kent, London, The Southeast. 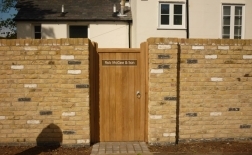 For further information please call 01233 740389 or email.